Artist Karen Green's "The Painter's Pantry" produces a smorgasbord of deliciously innovative items out of recycled materials for artists. She paints too and I couldn't resist reproducing her portrait of the swaddled Peruvian baby above. 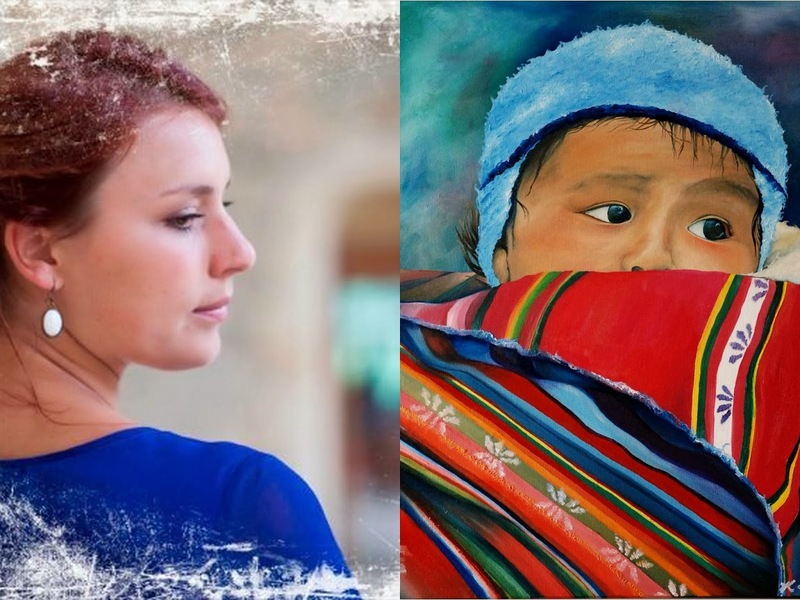 The theme of swaddling, or wrapping, is key to much of what Karen otherwise makes - flawlessly sewn material wraps for storing artists' tools using upcycled fabric. 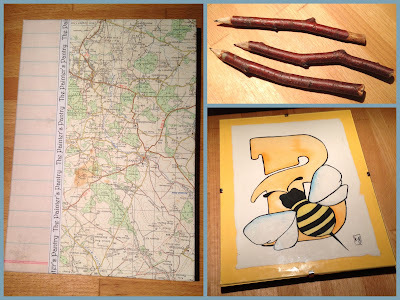 It is with other peoples' "rubbish" that Karen creates a larder of goodies for artists which includes wraps for brushes, pencils or pins and needles collections. 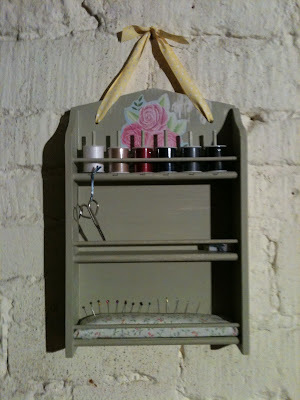 She also packs away buttons into spice bottles, creates sewing boxes out of spice racks and hand stitches sketch books. Karen is a trained primary school teacher, artist and screen and stage costume designer with a very thrifty streak! She literally haunts charity shops for swatches of lovely cloth that she can use to create the wraps and is a big supporter of buying local. Upcycling just comes naturally because she has always reached for the nearest leftovers to make her creations. Other examples from the feast of goodies she sews for artists are, appropriately enough, aprons to wear while you paint/sculpt/etch/craft etc with pockets for holding various tools. Pictured left, Karen fetchingly models one herself! And she covers buttons with all the discarded fabric she collects on her charity shop rambles. 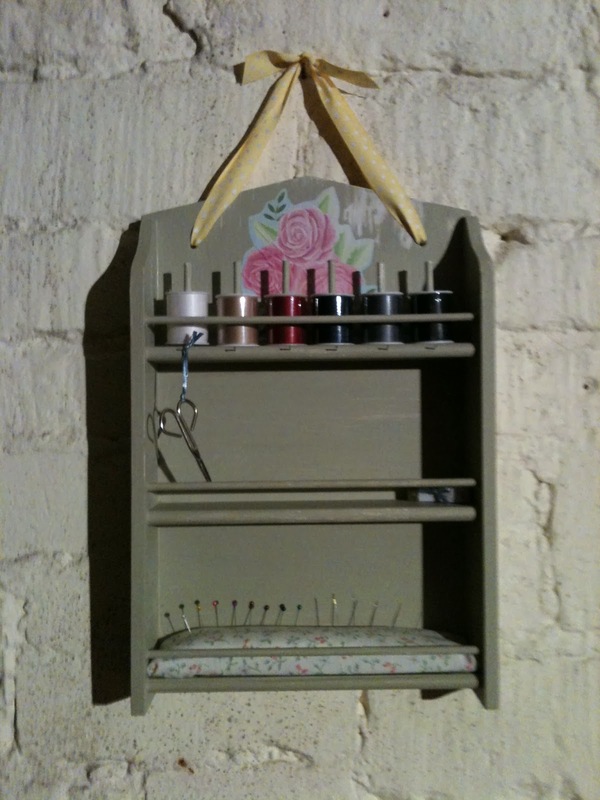 Among some of my favourite pieces of her work, I have to admit to an urge to own the spice rack which she has turned into a sewing rack - not that I sew but I would use it to store all my costume jewellery. Karen also produces alphabet paintings and twig pencils as well as the delightful artists' sketch books. With these each sheet is made from a different type of recycled paper which prompts the sketcher to use a variety of media, such as water colour, charcoal, crayons or pastels. She also binds the books with unusual materials - using an old map for example in the picture below. Karen can be found at local markets: The Cross in Gloucestershire, The Promenade in Cheltenham and The Sunday Market in Stroud. 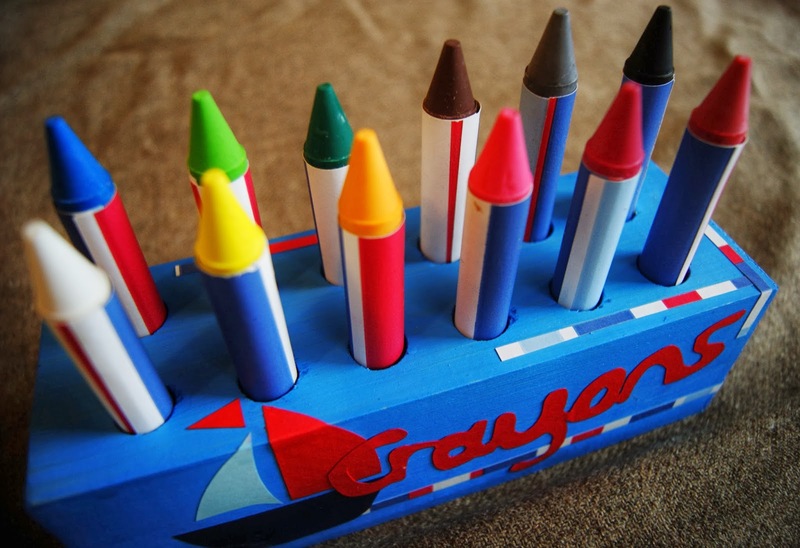 Crayon boxes for kids are stocked at Ethos Kids in Stroud. Q. What sort of useful product could Karen produce for your "pantry"?